Modern Cosmology begins with an introduction to the smooth, homogeneous universe described by a Friedman-Robertson-Walker metric, including careful treatments of dark energy, big bang nucleosynthesis, recombination, and dark matter. From this starting point, the reader is introduced to perturbations about an FRW universe: their evolution with the Einstein-Boltzmann equations, their generation by primordial inflation, and their observational consequences. These consequences include the anisotropy spectrum of the cosmic microwave background (CMB) featuring acoustic peaks and polarization, the matter power spectrum with baryonic wiggles, and their detection via photometric galaxy surveys, redshift distortions, cluster abundances, and weak lensing. The book concludes with a long chapter on data analysis. 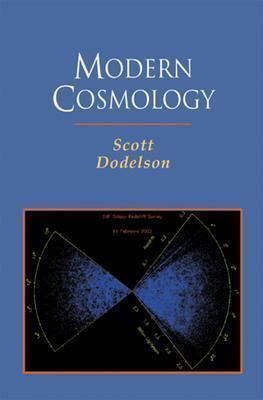 Modern Cosmology is the first book to explain in detail the structure of the acoustic peaks in the CMB, the E/B decomposition in polarization which may allow for detection of primordial gravity waves, and the modern analysis techniques used on increasingly large cosmological data sets. Readers will gain the tools needed to work in cosmology and learn how modern observations are rapidly revolutionizing our picture of the universe. Description: Internally fine, boards lightly rubbed and small bump upper edge front panel.